Mustang Sally’s is the place to go for a great burger. The sign out front says best burger in Deadwood, and I agree. The burgers are simple, nothing fancy. 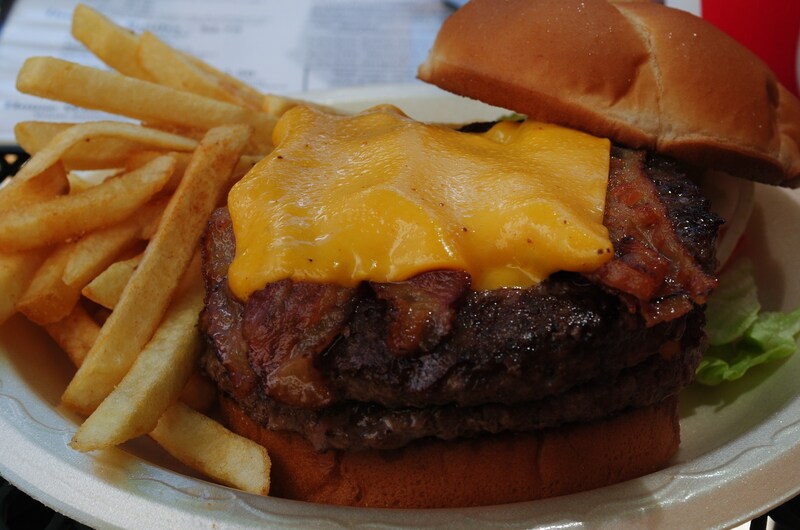 I always get the double bacon cheese burger deluxe with fries. It is just a great burger. If you have a mighty thirst, they have $4 25 ounce tap beers and of course soda, ice tea and juices for the non-beer drinkers. If you aren’t hankering for a burger they’ve got chicken, hot dogs, appetizers (mini corn dogs are great) and other menu items too. Sally’s has a great laid back atmosphere, it has a mom and pop joint feel to it. The staff is always friendly and attentive. One half of the place is a sports bar with lots of TVs, a pinball machine and video games. The other half is a casino. It is very family friendly. The sports bar side has lots of booths and tables. And, since is separate from the casino the kids can run around a little bit. However, if the weather is nice I always prefer to sit outside. The outdoor seating is my favorite place to people watch in Deadwood. Nothing like spending a Black Hills summer afternoon under one of the umbrellas watching all the action on main street. 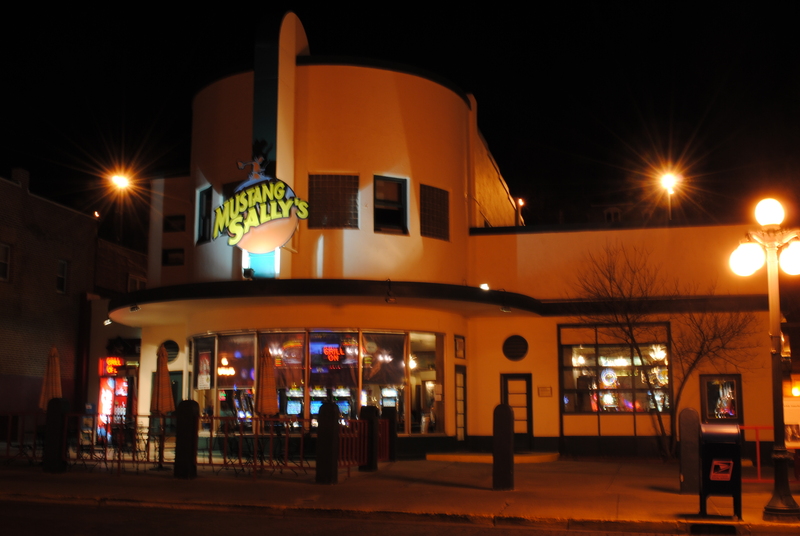 Where is Mustang Sally’s in Deadwood? Mustang Sally’s is easy to find, it is right on main street by the parking ramp. Directly across the street from the Bullock Hotel. If you are going to Sally’s from the parking ramp, you can enter by the back door in the alley. You no longer have to wonder – Where to eat in Deadwood SD.